Branding is building confidence with consumers. Branding allows new products and services to be quickly accepted and trusted. Many business offer great services at a great prices but obtaining new clients is often difficult for these business because they are viewed as an unknown. Risk is the brakes on many purchases. Large corporations use branding to get consumers to quickly trust their products and services. Consumers will choose higher priced brand named goods in order to not gamble on the unknown. Government buyers main job is to purchase goods and services from vendors that can fulfill 100% of the contract every time with zero doubt. New vendors are often viewed as risky since they fail to have a past performance history already established with the government. A typical government contract put out for bid will have multiple submissions and some have in the hundreds of submitted proposals. The buyers quickly discard bids that do not meet the scope of the project. Once the irrelevant bids are removed the bids are grouped by price. Government buyers will then evaluate the company that placed the bid. Companies that have no past performance history are often removed from the running for large contracts. First I’m going to start with a question: if Tide detergent and the generic were the same price at the store, which one would you buy? The government has the same thought process and I know I don’t have to tell you what the answer is. A government buyer looks for the best price with the least amount of risk. Nationwide the government has some where around 20,000 active buyers so the market to brand is small and finite compared to Tide detergent for example who has to market to over 100 million American’s that will at some point be in the market for detergent. Branding in government contracting is the main key to success. The buyers are not compensated based on how much they pay for a good or a service but the execution of the order is their main focus. Building a strong image of your organization is necessary to let the buyers conduct business with your company. Government buyers must understand your company, products, services and they must trust you will fulfill contracts in the long term. Government buyers are busy just posting and reading bids that are submitted, understanding that hundreds of thousands of vendors want to do business with these buyers it is easy to see why they are hard to get a hold of. A survey that was sent out to 17,000+ procurement officers concluded that 96% of government buyers want to learn about new vendors and products through email. Government buyers cited phone calls as the worst method of communication and that calling can actually hinder that businesses chances of getting a contract. I’m going to give you an example why calling can hurt your chances of getting a government contract. I’m a new brand business calling the main government purchasing officer for my industry and I ask the buyer how to find opportunities and submit bids for work. The buyer I just called knows that I’m a rookie and I might take up a lot of resources if I’m awarded a contract. I’m already taking up resources and I’m not even executing a contract. Branding is nothing without repetition. Neurologists have published research that states your brain must see something three times to understand it. If I need to see something three times to understand how many times must I see something before I know of the brand. It is safe to assume it takes more than three times to develop a brand but the key to branding is executing a long term branding strategy. Coca-Cola has one of the largest brands and they continue to spend more and more on advertising to maintain and increase branding. 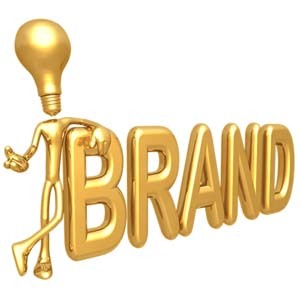 A great branding strategy is going to vary based on many factors buy mainly the level of branding of your competition. If your competitors are doing branding once a month through email and you execute this same strategy over time it would be safe to assume you would gain the same brand awareness. Email marketing has proven to be the most effective way to market the government but campaigns that are delivered more than once a month or irrelevant buyers can hinder the brand. If you are doing your own marketing make sure the list is updated quarterly and that email addresses that are in correct are removed. How long does this take? It depends but you need to give it at least 12 months. Brand your business for the long term. Get professionally designed marketing pieces sent out to an accurate list and submit bids. Include in the marketing pieces all the stats on your business especially if you are a small business since 23% of government procurement is suppose to be awarded to small businesses. Small businesses that have developed a brand will be financially rewarded for their accomplishments since roughly 22% of small business contracts are awarded to small businesses. This means government purchasing with small businesses is budgeted for a 354% growth. If government buyers understand that your business is here for the long run and any awarded contract will be properly executed, you are now in the running for government contract awards. Once you have been awarded and executed your first contract, your marketing will carry you forward to yield referrals and new ventures with other government agencies.